Disclaimer: The appearance of external hyperlinks here does not constitute endorsement by The Henge of Keltria of the linked website, its information or services. 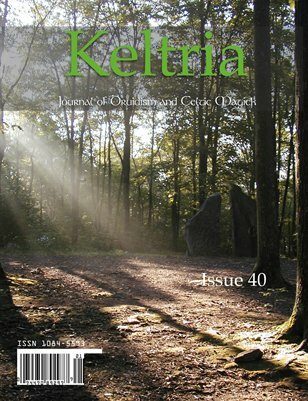 The Henge of Keltria has no control over the information you may find at those locations. Mistakes or errors regarding these links should be reported to the Keltria Webmaster. Cindi's list of Genealogy sites on the Internet. Roots Web, the oldest and largest free genealogy website. Colin and Cumberland Learn Gaelic is a fun site sponsored by the BBC to learn (Northern) Irish Gaelic, Scottish, Northern Welsh and Southern Welsh. Enter the world ov Aberant and overcome various obsticles by learning Gaelic. Daltaí na Gaeilge ("Students of the Irish Language") is a tax exempt, not for profit corporation dedicated to promoting and teaching the Irish Language. Gaelic is a discussion group about the history and evolution of the Goidelic (Q-Celtic) languages of Gaidhlig (Scottish Gaelic) Gaeilge (Irish) and Gaelg (Manx). IMBAS another highly recommended site dedicated to "promoting the religion of Celtic Reconstructionist Paganism and the cultural heritage of the Celtic peoples". Stone Pages Stonehenge, stone circles, dolmens, ancient standing stones, cairns, barrows, hillforts and archaeology of megalithic Europe. The Virtual Shrine Of The Goddess Brighid is dedicated to all people who are suffering and to their loved ones who are in need of help. It is also a place to celebrate and commemorate significant life passages. Dun na Sidhe Celtic Studies, Spirituality and Music. Counter Culture recently become the distributor for the Druidic publishing house Grey House in the Woods. Manx Society Publications index and text of most volumes. Mythic Ireland includes ancient sites & mythology. Very good site! Sacred Text has many Celtic Myths and Stories available.